I promise, that one day soon, I won't start a blog with an apology for being hugely lazy and full of the CBA's and thus not blogging for several days. I've not blogged in nearly a week again and I don't really have any excuse for it. Life has been meandering along as it tends to, in fact I've been off work for most of that time, so there really is no reason why I couldn't have got you updated every day with what I'd been up to! Bad Karen (again). Wednesday was St. George's day and we were lucky enough to catch a small procession of local school children celebrating the day whilst we had our regular mooch around town. Wednesday also involved visiting the Spice Man, a cheeky starbucks cuppa and shop wanderings with Mr HoppityLegs (aka Hague). Friday was payday! My favourite day of the month, and one which we have now decided will be an off plan day. Both of us seem to be struggling with willpower at the moment and so we made the decision that once a month we'll have a nice meal out, and a few drinkies and treats in the evening. Just the one day, and then back on plan. A perk of being at target if you like. So Friday was spent eating, starting at Pizza Hut for a buffet lunch, where Hague impressed me with his ability to eat about a thousand slices of pizza, and ending in a kind of chocolate induced stupor after eating more Kinder eggs and reduced Easter eggs. We both enjoyed it though, and as promised it was back on plan for Saturday. Saturday was another lazy-ish one, with just a hair cut planned, although I was made to go and get a helmet to wear whilst out on Margot. I'd resisted before as I thought they looked a bit gimpy, but having been informed I was far too precious to let myself get all brain squished I relented and got one. In and around that bit of excitement I enjoyed some rather yummy food. There is something to be said about having an off plan day, as I have thoroughly enjoyed my SW friendly food since! Norfolk really can be beautiful, although it was a gorgeous spot, I really didn't enjoy it as much as I could have done, as Hague wasn't with me and he would have loved it so much. Next time! An early night beckoned though as the end of my week off means a 4.30am alarm on the Monday. Ick. I was shattered when I woke up this morning. My plan of going to bed a bit later in an effort to drop off quicker failed spectacularly and so I was very tired as I headed into work, one thing that was quite a nice change was how positive I felt though. I normally hate earlies, Mondays and everything to do with them, but I felt, well, okay...quite relaxed about it all in fact. A very welcome change! I got the machine sorted and had my first snack at around 7.30. Various things played up, but all seemed to just wash over me and I felt myself feeling quite comfortable. It made me think a bit about how far I've come as well. It wasn't that long ago that the thought of being on the filler on my own filled me with absolute panic and dread. Every part of me screamed out for something else, anything else to do so I wouldn't have to face work, the machines, the people again. Such a nice realisation that I'm definitely getting better! In fact, since calling target, I feel a lot more relaxed about most things.....strange. Anyway, back to Norwich and my breakfast, which I was rather looking forward to, as it'd been a while. Toasted couscous with black forest fruits, figs and yogurt, with a pear on the side. Lovely it was too :o) I wasn't overly hungry at my final break and so just had a coffee, and then the rest of the shift pretty much flew by and soon it was 2 o'clock and I was free! A quick visit to the work shop and then home, where I transformed last night's vegetable risotto into vegetable soup with the addition of a bit of stock. Another very lovely meal, even if I do say so myself! I had pondered re-visiting Burgh Castle today with Hague and Boo, but the weather isn't too great, rather grey and depressing and so the afternoon has been spent nattering to TOK and my Mum whilst Hague catches up on 24, think the box set was a good choice for Christmas! With Hague working on his weights, I got a few sneaky Come Dine With Me's watched, mainly as the Sky+ box is down to 3% free space! This is what happens when he can't go to Barnsley for weekends! My mind then turned to dinner, and I had exactly what I'd been fancying all day long. Burger and chips. So here I am, already contemplating bed even though it's just gone 7pm. Hazards of an early shift there I'm afraid. So a rather tired, and rather full me is about to sign off. It's strange how something as simple as calling target has eased the pressure off me in so many ways. I didn't realise the struggle with my weight was causing so much stress to me, but obviously it was. Here's hoping the blood test gives me some news as well, although I have a nasty feeling my symptoms will be put down to good old "One Of Those Things" We shall see! 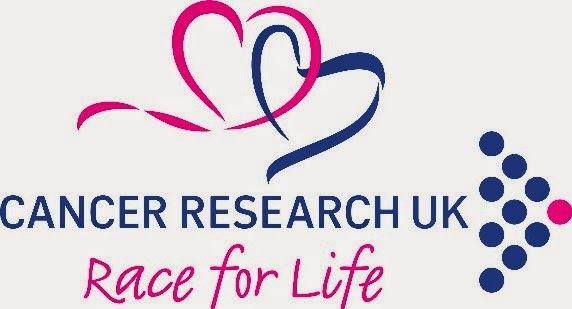 Oh, and finally....as it's now less than 3 weeks away, it's probably time for a reminder about my Race for Life mission. Before I lost any weight, I completed 2 or 3 Race for Life courses, at around an hour each time. Last year, after losing 6st, I managed to walk it in just under 49 minutes. Well, this year, after losing nigh on 11½ stone I shall be running the whole 5K course. I may not be the fastest, but I will run the whole way, something I've always wanted to achieve. I've set myself a target of £500 that I'd like to raise in sponsorship, and although I'm a fair way towards it, I'm not there yet. So if any of you have friends fighting this hideous disease, as I have, or if any of you have lost family members to it in the past, as I have, then please, please sponsor me with literally anything you can spare. Even a few pence will help, and maybe one day we really will see an end to this evil disease.